The 2016 Rio Olympics have come to a close, and the NBC Olympics machine, for the most part, is being dismantled (a much smaller technical presence will remain onsite for the 2016 Paralympics). The end of the Games also begins the evaluation of what worked, how operations can be improved, and how the entire Olympics production and technical philosophy might change for the 2018 Winter Olympics in PyeongChang, Korea. But the end of the Olympics also provides an opportunity to step back and reflect on a technical team that enabled the production team to serve fans an unprecedented amount of content on an unprecedented number of platforms and devices. 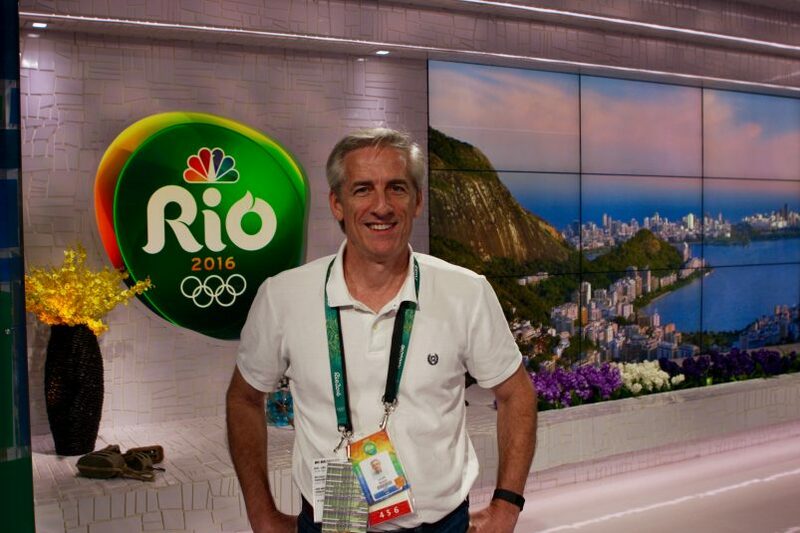 NBC Olympics’ Dave Mazza says the production team was able to get to full speed quicker than usual for an Olympics. And then there are the freelancers, the ones who volunteer to be part of a project that, every time it occurs, basically produces an event in a city that has no experience with it. For all the veterans involved, it is, in many respects, a first-time effort. 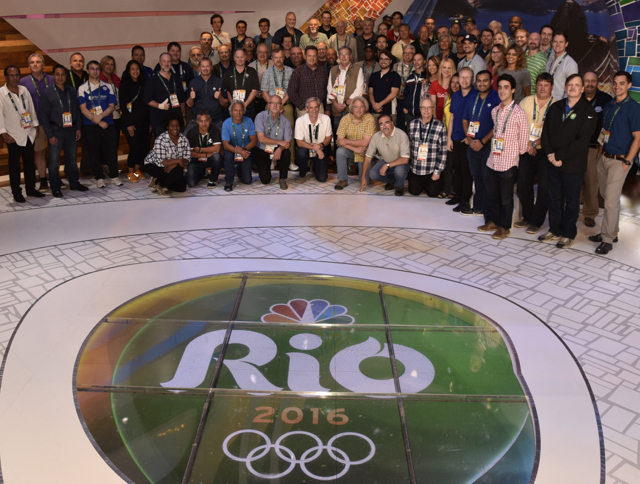 The NBC Olympics engineering team stepped up at the 2016 Rio games to meet the challenge. The high level of performance also extended to the venue-operations team. According to Chip Adams, VP, venue operations, NBC Olympics, the veterans involved in venue operations once again delivered. One of the consistent themes for every broadcaster at the IBC was logistics, and NBC Olympics was no different. Throughout the Games, everyone’s operations were hampered by issues related to power, official bus transportation, traffic when not using official transportation, language barriers, and more. One production group affected by the way the Rio 2016 venues were laid out was the diving team. With the diving and swimming events in separate venues, two separate setups were required, and the diving production team was unable to leverage some of the equipment deployed for swimming. For London 2012, for example, the team had access to two RF cameras, six edit suites shared between diving and swimming, and five EVS servers. For Rio 2016, the EVS complement was reduced to two, and the editing was done at the IBC. The fact that the Opening Ceremony and the athletics were not in the same stadium was another issue, because traveling between them during setup basically was a full-day trip. The distance between the IBC and the studio at Copacabana Beach also caused some logistical headaches. Overall, he adds, the venues themselves were in pretty good shape when the NBC Olympics arrived in force. For Rio 2016, the NBC Olympics team tackled a number of new workflows and also delivered an unprecedented amount of content, both on TV and online. The team also, arguably, does more to add its own production touch and flair to its content than any other rightsholder does. Much of the risk and complexity in a project the size of the Olympics is because more and more of the technical and production infrastructure cannot be evaluated until it is in actual show mode. That is one of the reasons it was so important for NBC Olympics to preconfigure the Rio 2016 system at NBC Sports headquarters in Stamford, CT. Preconfiguration took place on the floor below the Highlights Factory. The continuing challenge for NBC Olympics and every other rightsholder at the Olympics and even for OBS itself is the transition to IP-based workflows. A 17-day event is entirely different from any other sports production, and a move to an all-IP infrastructure is still a few years off and requires a new way of thinking and problem-solving. So there is plenty to consider with respect to the 2018 Winter Games, set to be held in PyeongChang. The nature of the Olympics schedule means that there is a little more than 18 months between now and those Games. The Winter Games are also a bit smaller. And then, of course, there is the massive time difference, with PyeongChang 11 hours ahead of NBC’s Stamford facility. Adds Mazza, “It may not be visible at home how many of the things at the Olympics work, because it all is intended to look like any other high-end truck-based sports-event coverage. A huge credit for that goes to OBS, who does a tremendous job of absolutely first-rate host coverage.